Are you taking advantage of the 3rd most popular social networking site to sell your products online? Sure, third best doesn’t sound like a great prize, but Pinterest is 1st when it comes to monetizing social media. Did you know that shoppers who come from Pinterest are 10% more likely to purchase than those who come from social sites like Facebook and Twitter? And the news only gets better from here. Their average order is far from puny. In fact, at a whopping $80, it’s about double the average order of customers who come from Facebook. Pinterest marketing for ecommerce can help drive sales to your online store, but before you get started, you must understand the network and whether it is right for your brand. In most cases, the answer will be yes, but depending on your products, you may need to employ a little creativity. By the time you are done reading this post, you should have a basic understanding of Pinterest marketing and how to apply a few best practices to your efforts. What is Pinterest Marketing for eCommerce? Do you want to send pre-qualified leads to your online store… without any cost to you? 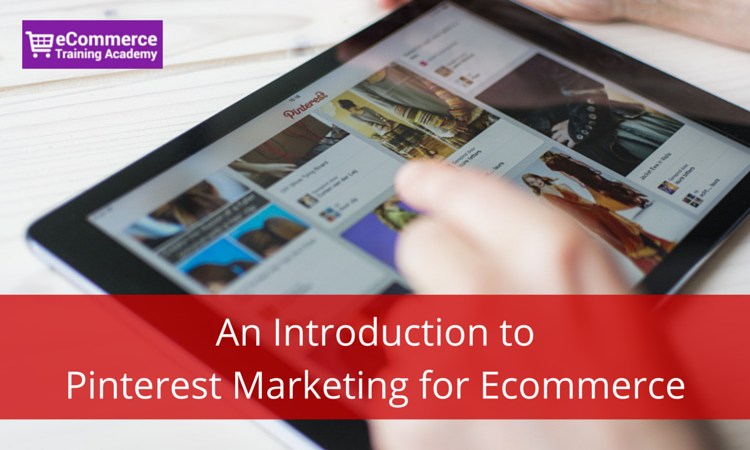 Well, then you may want to become intimately familiar with Pinterest marketing for eCommerce. Pinterest, for those of you who may not know, is a social networking site that is based around images. Unlike Instagram, another image-based social networking site, most of the images that circulate around Pinterest are from various websites instead of from users’ smartphone cameras. This creates a unique opportunity for marketers to add their own products to the mix in the hopes that people will share, or repin, the ones they like and may want to purchase. And as we’ve seen, people who visit a website from Pinterest are more likely to make a purchase than people who visit a website from any other social networking site. This is promising news for anyone who wants to market their products on social media. 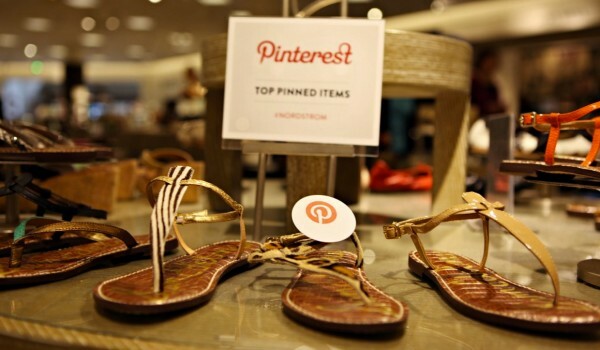 Why is Pinterest Marketing Important for Online Retailers? Not only are conversion rates high on Pinterest, but this network allows for greater exposure for a brand’s products. There is no limit to how many times your product image can be pinned to a board, so if it’s a good one, it can just keep circulating from user to user, board to board. And if you keep an eye on how people are pinning your products, you can gain some valuable insight into your customers’ mind. You’ll see what kind of boards your products are pinned to and what other types of products your customers are interested in. With a little creative thinking, this may spur some ideas for cross promotions or affiliate deals in other areas of business. By adding the Pinterest social sharing icon to your own website, you can also encourage visitors to pin your products to their boards. Whether you have done this yet or not, and whether you have even heard of Pinterest or not, your brand may already have a presence here. Visit the following address (replace YourWebsite.com with your actual url) to see if people have pinned images with links to your website: http://pinterest.com/source/YourWebsite.com/. What you find may surprise you! What Do You Need to Succeed in Pinterest Marketing? Knowledge – Before you go and start pinning all willy nilly, you need to understand what Pinterest is all about and why it is so popular. People tend to use Pinterest for bookmarking, and they organize their “bookmarks” by board for easy access. Things like recipes, inspirational quotes, fitness tips, fashion and interior design are popular for obvious reasons. But this doesn’t mean you can’t get creative and find success on Pinterest with other types of products or services. Staff – As fun as it is to spend all day playing around on Pinterest, Pinterest marketing is serious business. If you find that you don’t have the time to invest at least 15 minutes a day on your company’s boards and products, consider hiring someone to manage the Pinterest account for you. Managing Pinterest does not have to be a full-time job by any means, so you may use the same person to manage Pinterest as you do for Facebook, Twitter and Instagram. 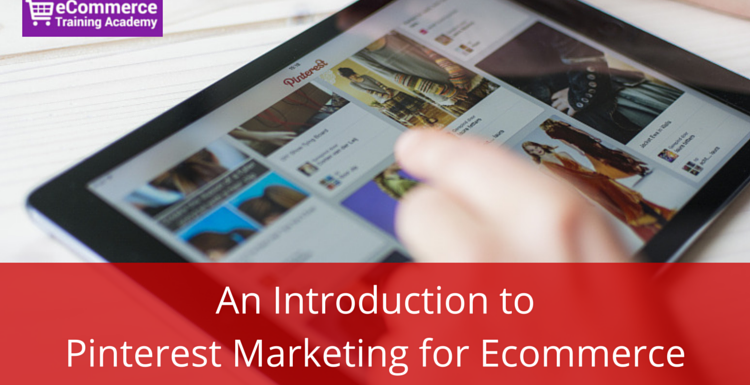 Money – Here’s the greatest part about Pinterest marketing for ecommerce: You don’t have to spend a dime. If you really want to, you can engage in promoted pins. This may help, but if your products and images are compelling enough on their own, it may not be necessary. Time – It will take time for you to build a presence for your brand on Pinterest, just as it would for any social media site. 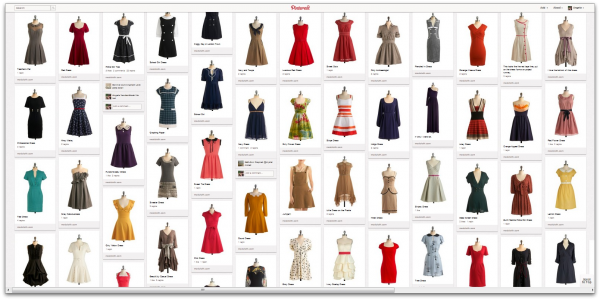 This time will be spent repinning pins from other Pinterest users and creating boards that complement your products. However, in the meantime, your products will be available for pinning and repinning by other users, so rest assured that the wheels will be in motion right away. Creativity – If you sell something that isn’t typically popular on Pinterest, don’t worry. You can still be successful with Pinterest marketing. You just have to be a little more creative. For example, if you are a realtor, you may pin aspirational homes in your area on one board and positive news about home values and neighborhood happenings on another. Just be sure that the gist, or headline, of your story is covered in the image, or it isn’t likely to go far on Pinterest. Product copy is important, but people are really yearning for visuals. They want to see how your product fits into their lifestyle, and you can easily show them with images on Pinterest. If your product or service needs more of an explanation, be sure your image is intriguing enough to make users want to click through to your website for more information. With Twitter and Facebook’s newsfeeds, you really just have a short period of time before your story gets buried. 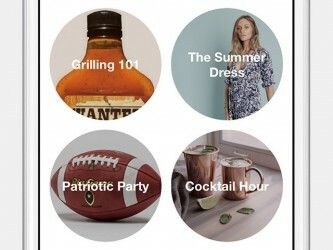 With Pinterest, that time is expanded a great deal. People are more likely to visit the boards of other pinners with similar interests, so they can dig up old pins from a year ago and give them a new life. Also, newsfeeds in general do not tend to move as quickly on Pinterest as they do on other social sites. With 10% more purchases driven from Pinterest than any other social site, anything you put into marketing efforts here is more likely to pay off with a better ROI. Not to mention that the average order is a whopping $89 from Pinterest. Do not be shy about spending time and resources to build a presence here. It is very likely to be worth your while. Not only can you see the types of people who are Pinning your products, but you can also see what else they are interested in. Look at the types of boards they are creating and the other types of products they are pinning. You may think you know why your audience loves your products, but after a little time spent digging around on Pinterest, you may very well be surprised. Did you know that you can create secret boards on Pinterest? Just like your customers may use Pinterest to create a visual representation of things, you can do the same for your competition. Create boards to pin their new products and you can see how your brand is stacking up to theirs in terms of introductions and innovations. Does Pinterest have the staying power of Facebook or Twitter? Based on its popularity and growth, it seems so, but being that it is a newer network, we cannot yet be sure. Pinterest’s categories do leave a lot to be desired, and you may find that your product or service does not quite fit into one. Don’t fret about this too much, though. Once the initial boards are created and you have built a following, categorization becomes somewhat irrelevant. Also, Pinterest has been working on its search feature, which can help users find your pins without having to search by category. Things are improving day by day as they add new features. There is lots of competition on Pinterest and getting your pins noticed can certainly become a challenge. Nonetheless, effective optimization will certainly help you get some traction from pinners. How to Get Started with Pinterest Marketing for Your Online Store? Once you have a thorough understanding of Pinterest and how your customers are using this network, it’s time to figure out how you can put it to work for your online store. As you create your strategy, which should happen before you even create your business account, remember that this is a social network. This means that you must be social above all else. Pinterest marketing is about a whole lot more than just creating boards filled with your products. Your strategy should include pins from other brands and influencers in your niche, and it should also have a social element. How about creating a few boards and inviting your audience to add pins? The boards you create should highlight your products, of course, but they should also inspire users to create similar boards of their own – and they should help users visualize how your products or services fit into their lives. First thing you need to do is create a business profile for your online store. Click here to get started. You will notice after creating your account that you have the option of following specific pinners or interests. I recommend you do this so that you get some inspiration from what others are doing. Start creating a bunch of boards related to your product & industry. Here’s a great video that gives an overview of boards on Pinterest. You need to start following people in order to expand your network. But before doing so, I recommend that you initially create all your boards and add enough pins to have a good first impression whenever someone discovers your accoiunt. Are your competitors on Pinterest? If they are, don’t be threatened. There is plenty of room for us all. And if they have been pinning longer than you, this gives you an opportunity to see what they have done right, and what they could have done better. You can see how other people are pinning their products, which can give you some ideas for creating your own boards. And if your competitors aren’t on Pinterest, don’t let that stop you from gaining inspiration. Just look at the most popular brand boards to see if there are any ideas that stand out. Learn how to use the Pinterest Search to help you discover content and pinners as well as getting lots of inspiration. Pinterest is a great and inexpensive resource for ecommerce brands looking to increase brand awareness and boost sales, but like most forms of marketing, you have to roll up your sleeves and put in the work before you can see results. If you’re interested in learning more about winning strategies for Pinterest marketing, stay tuned! In future posts, we will talk about Pinterest contests, ways to boost engagement and repins, and how to connect with influencers on Pinterest (it is very different than with other social networks). Excellent information here. Part of what makes Pinterest so valuable is the lifespan and the revenue per click it generates. Pinterest has emerged as an incredibly valuable resource in terms of gaining consumer insights and spreading influence. Great post.